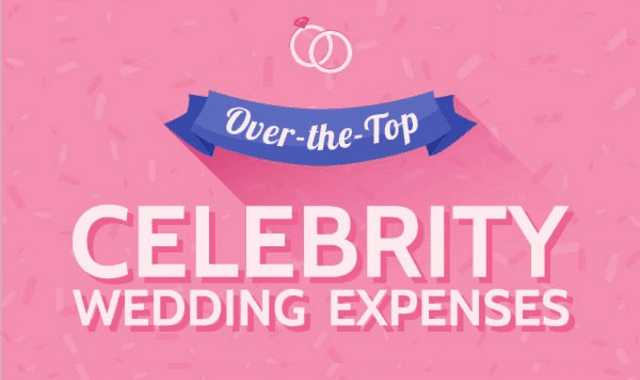 Over-the-Top Celebrity Wedding Expenses #Infographic ~ Visualistan '+g+"
The average cost of a wedding is $35329. But celebrity weddings are far from average! Let's look at some of the big-ticket items from our favorite stars' nuptials and see how they compare to real life.